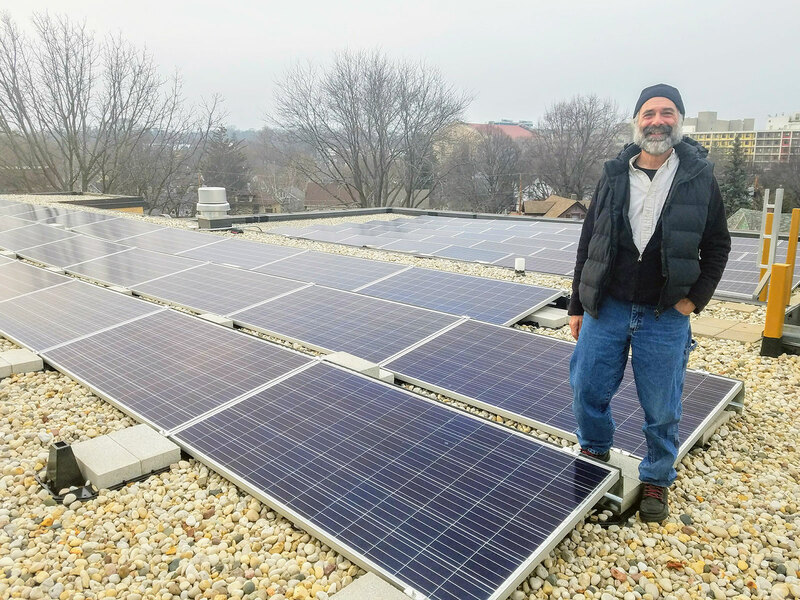 Through a generous partnership with local philanthropists Cal and Laurie Couillard, RENEW Wisconsin awards solar panels to nonprofit organizations to assist them in installing solar PV systems. Solar for Good also offers small grants for technical assistance to get projects started and see them through to success. 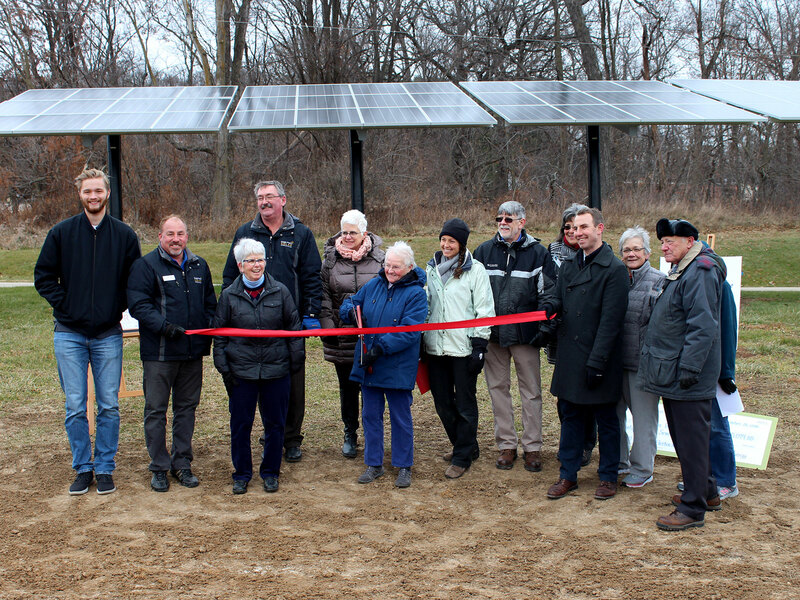 Solar for Good helps publicize funded projects to spread the word and educate Wisconsin about the benefits of solar. The Spring 2019 cycle will begin Monday, March 11, 2019. 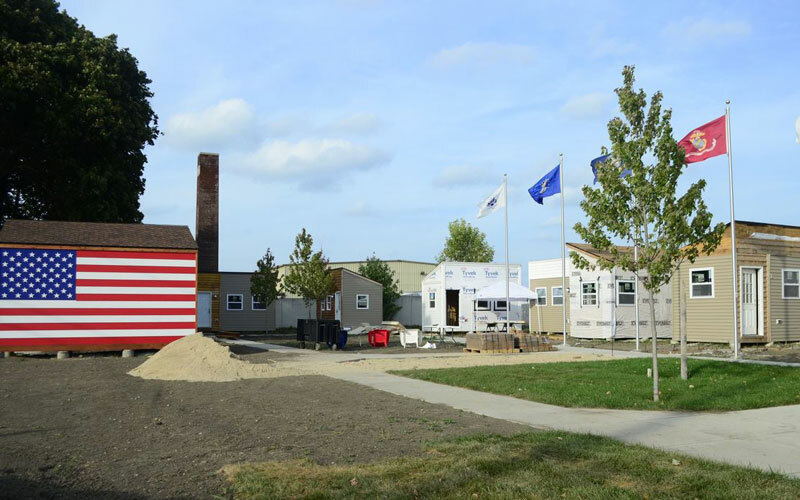 Completed applications, including proof of tax-exempt status and solar site assessments or proposals are due by 5:00pm Monday, April 22, 2019. Winning grantees will be announced on or before May 1, 2019. Fall 2018 grants have been awarded! You can view them HERE. WHY ARE NONPROFIT ORGANIZATIONS GOING SOLAR? By significantly reducing our carbon footprint, this project affirms our commitment to the traditional teaching of Tikkun Olam – the notion that we are responsible for ‘repair of the world. Our monthly energy bills have been cut in half, drastically reducing our operating expenses. We truly appreciate and want to thank everyone who has helped this project come to fruition. We look forward to reducing our Ecological footprint and in turn taking the money that would normally go to utility bills and using it for our homeless recovery programs here at the Outreach. 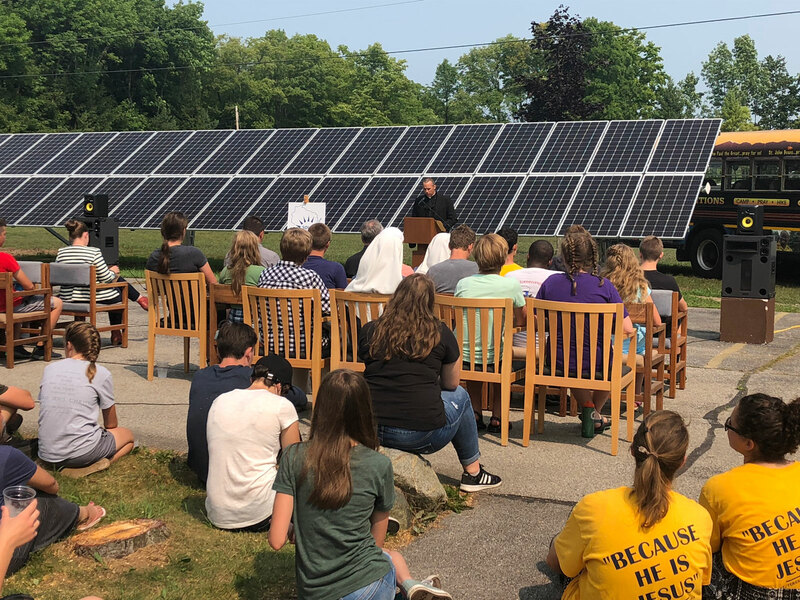 This serves as a tangible opportunity for the students to learn about how energy works, why renewable energy is important, and how we can all have a positive impact on the environment through the decisions we make. What I found especially exciting was that, as the campaign progressed, putting in solar panels became a higher and higher priority for us. In the end, installing the solar panels was the very first project we completed, and it’s been a joy to track our production of electricity ever since. We recognize Sinsinawa Mound as a sacred place entrusted to our care. With that in mind, we are taking a step forward in reducing our carbon footprint through solar energy. What does Solar for Good offer? 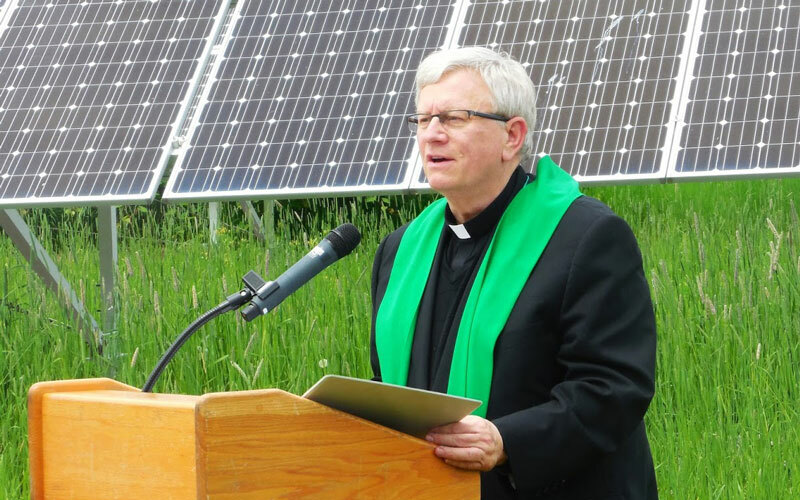 SOLAR PANELS: RENEW Wisconsin will administer solar panel donations through the Couillard Solar Foundation. For solar systems smaller than 75 kW, a nonprofit will be granted up to 75 panels (~$10,000 value). For systems 75 kW and larger, a nonprofit will be granted up to 150 panels (~$20,000 value). Education: Our energy experts are talking to nonprofit organizations across the state about how solar can help them. Want to learn more? Invite us to present to organization’s leadership or board of directors on the benefits of solar energy and how it works. Contact us at solarforgood@renewwisconsin.org. Technical support: Many organizations have a hard time funding the design of a solar system or finding the right organization to help. 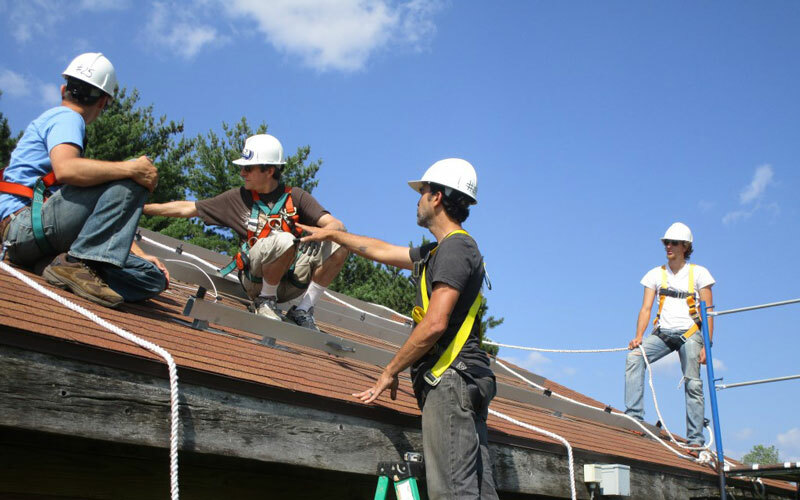 Solar for Good can connect your organization to a trusted solar design firm and issue a grant to help cover cost of a site assessment or engineering review. In addition, we can answer questions, review documents, and provide guidance along the way. 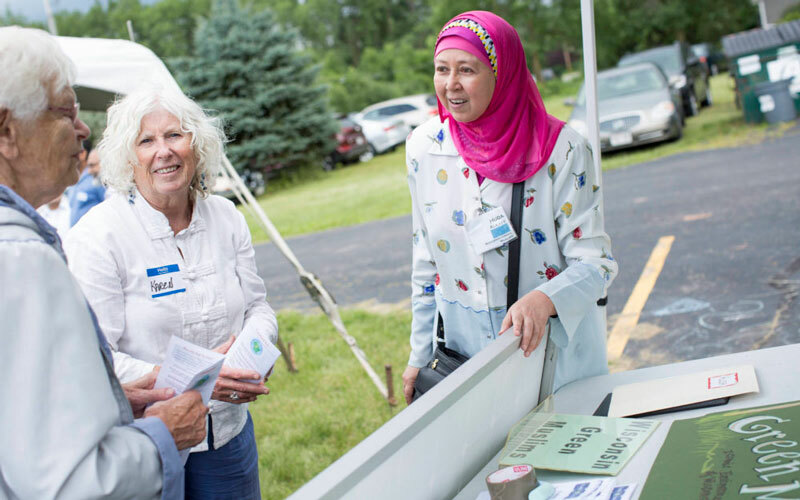 In October 2017, RENEW Wisconsin and Wisconsin Green Muslims hosted a webinar about the Faith and Solar Initiative and Solar for Good. To view a recording of the webinar, click HERE. How do I leverage my Award? 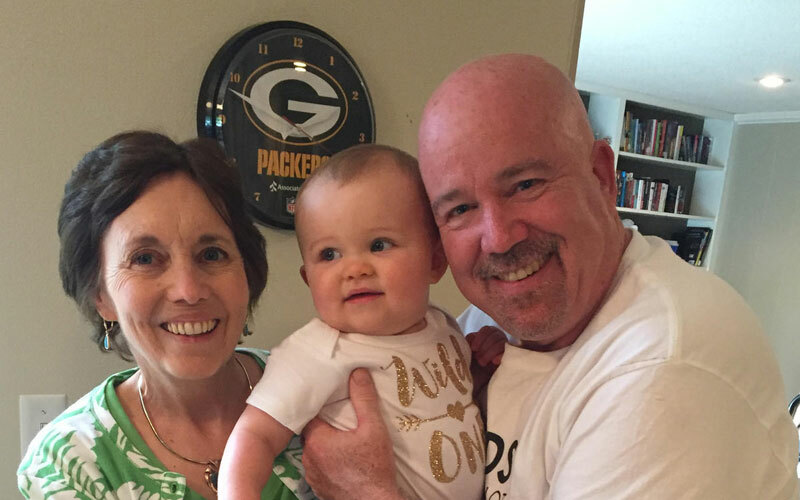 Matching fund for a public fundraising campaign. 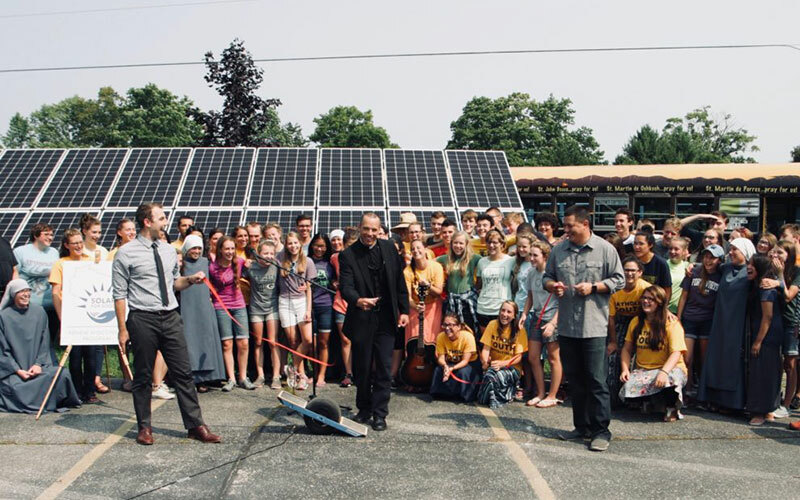 If you have a community of supporters or want to engage the broader public through donations for your cause, a Solar for Good award can serve as a non-monetary contribution to provide a bigger incentive for others to donate. Contribution to an existing budget. Perhaps your organization has a capital budget or funds on hand but needs some help to pay the full cost of a solar power system. A Solar for Good award can help defray the cost of buying a system outright. “Gap” funding for a financed system. If your organization is looking to finance a system through a bank loan or other arrangement, our award can reduce the amount you need to finance. This means smaller, more affordable ongoing payments. Who is eligible for Solar for Good funding? 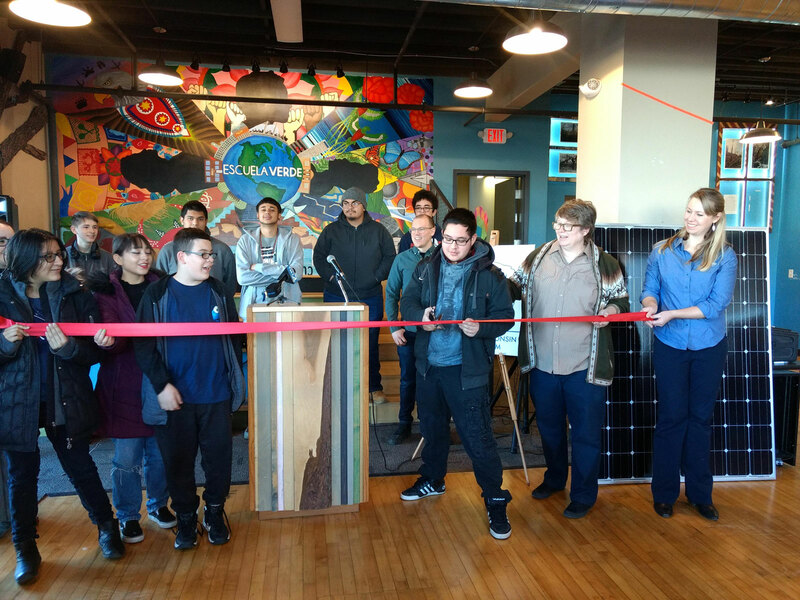 In order to receive a solar panel award, the organization must be a registered nonprofit organization located in Wisconsin, be in good financial standing and able to accept donations, and own its building and/or be able to make necessary changes to its roof or property to accommodate solar. Please note that this program is designed to fund mission-based organizations. In addition, organizations receiving solar panels must agree to participate in educating community members about the benefits of solar energy. You can see the draft Memorandum of Understanding we sign with nonprofits who received funds through Solar for Good HERE. • Before you apply for a Solar for Good award, take some time to learn about solar energy and evaluate whether this is a good idea for your organization. • Get a site assessment from one or more reputable solar companies. Determine which company you will work with and identify the size and cost of the project you will install. • Apply for your solar panels. To review a PDF of the application questions, click HERE. Note: To complete your application, you must email a copies of (1) your solar site assessment or proposal AND (2) proof of your tax-exempt status (an IRS designation or current certificate from Wisconsin’s Department of Financial Institutions) to SolarforGood@renewwisconsin.org. Applications for Spring 2019 will be open on Monday, March 11, 2019. Applications must be received by 5:00pm Monday, April 22, 2019. Winning organizations will be announced on or before Wednesday, May 1, 2019. RENEW evaluates each application on an individual basis. If your application is selected to receive a solar panel award, we will reserve your modules until you are ready to install your project. 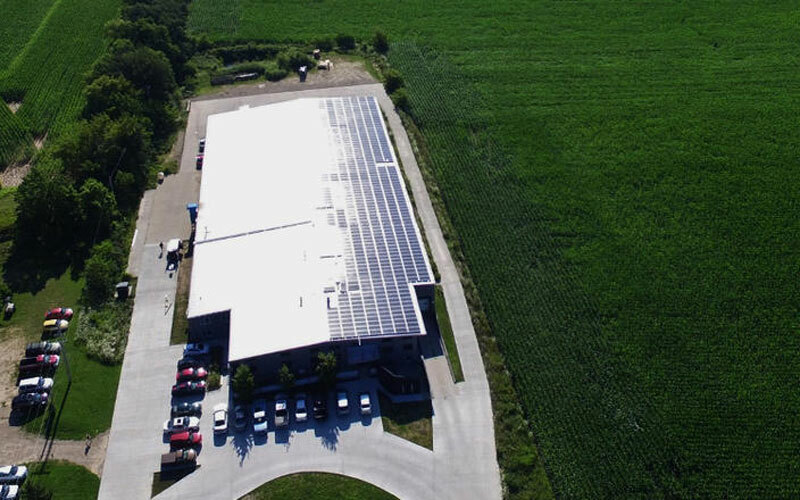 RENEW Wisconsin will hold panel reservations for no more than 12 months, so all fundraising, design and installation for the solar project must be completed within that timeframe. • Accept your award by signing our MOU. Your document will be customized, but you can view a sample MOU HERE. • If you haven’t already, sign your contract with your solar company and give us a copy of your contract and proposal. • Execute your fundraising campaign. We require you to check in with us at 6 months and show that you are on track to meet your funding goal. If you are not on track, we will work with you to find a solution or cancel your reservation. • Work with your solar contractor to complete installation of the solar project within 12 months. RENEW Wisconsin will arrange for your solar panels when your contractor is ready to install. What about technical assistance grants? For organizations looking at solar for the first time, a solar site assessment from a professional is the first step to determine whether the property is a good fit for solar and, if so, the recommended size for their solar array. Or perhaps your organization had a preliminary site assessment but needs to hire additional expertise from an engineer before proceeding with an installation. Technical assistance grants are available to organizations who need help funding a solar site assessment (up to $250) or engineering review (up to $500) for their solar array. 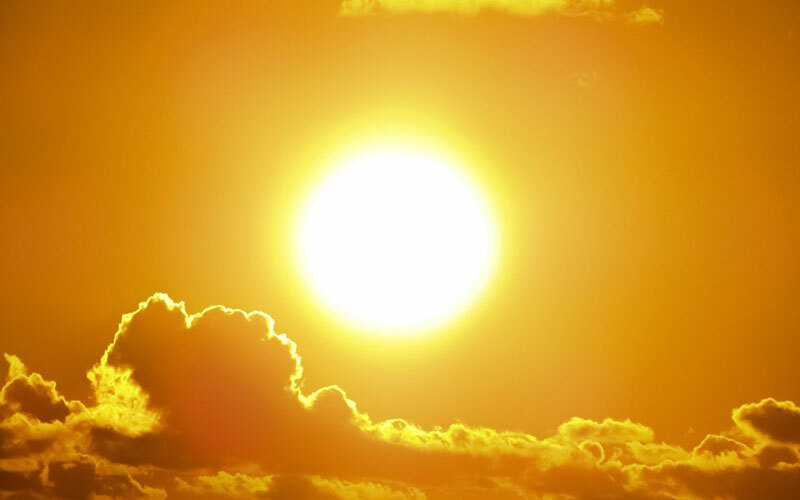 These applications will be reviewed separately from the seasonal applications for grants for solar installation and will be awarded on an ongoing, first-come, first-served basis. If your application is approved, we will reserve your funding for up to 2 months for you to receive your assessment or engineering services. After you receive your grant, we require you to send us a copy of your solar proposal or report from your contractor. • Identify the solar contractor or engineering firm you will hire. • Complete your online application HERE. 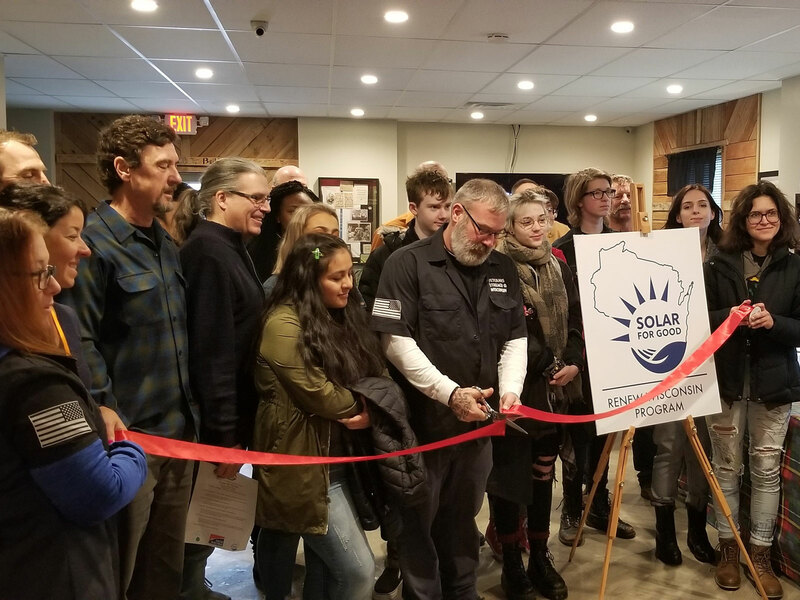 Note: To complete your application, you must email proof of your tax-exempt status – an IRS designation or current certificate from Wisconsin’s Department of Financial Institutions – to SolarforGood@renewwisconsin.org. Decisions and funding announcements will be made on an ongoing basis. We will notify you within 10 days whether your application has been approved. • Accept your grant by letting us know. We will reserve your funding until you have received your assessment or engineering services, for up to 2 months. • Complete your site assessment or engineering review. • Email us a copy of your invoice showing the name of the company, date of services and the total cost. 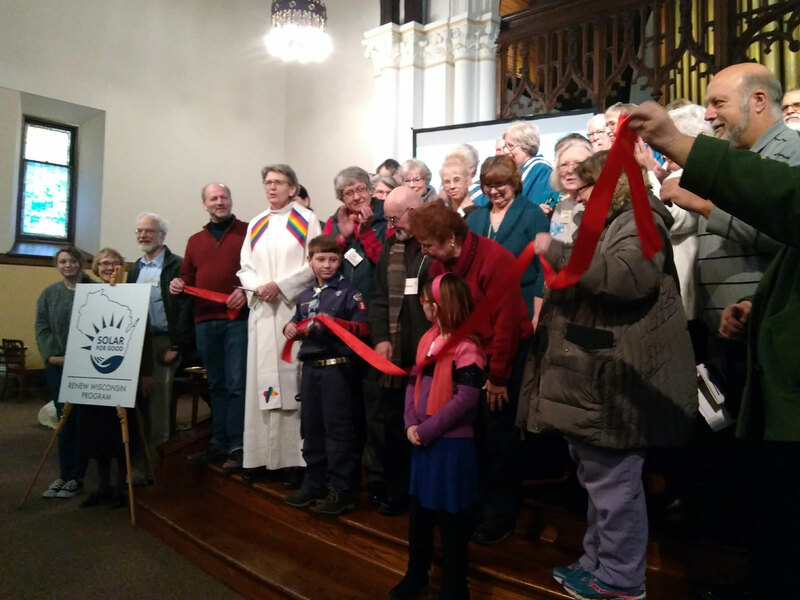 RENEW Wisconsin will then disburse the grant. • Once you have received your proposal or report from your contractor, we require you to email us a copy at SolarforGood@renewwisconsin.org. Are there geographic restrictions on who can apply? Any nonprofit organization located in Wisconsin and serving Wisconsin may apply. We are just starting our solar journey and don’t know the system size/cost. Can we apply? Organizations should have identified a contractor and received a solar site assessment with a recommended system size and cost estimate before applying. What happens if we can’t install the solar panels within 12 months of receiving an award? If you have legitimate circumstances beyond your control and can show progress toward your fundraising goal, we may be able to work with you to offer an extension. The available panels may be a different manufacturer or model. Can we receive multiple awards from Solar for Good? Yes. The same organization can receive a technical assistance grant and a regular Solar for Good solar panel award, but it cannot receive multiple technical assistance grants. Can we receive this award if we are applying for a Focus on Energy grant or some other incentive? Yes. You must let us know in your application which other grants or funding sources you expect to receive, including Focus on Energy. Want to talk about Solar for Good?